These 9 Bollywood Stars Went Above & Beyond To Do Their Bit For The Society! Bollywood stars are known for their on-screen talent and charismatic personalities. However, it's no secret that some of the biggest names in Bollywood are real-life stars with a big heart. You may say that they are part-time actors and full-time philanthropists who have dedicated their time and lives to caused that they believe in. Read about these Bollywood actors who have gone above and beyond to make a difference in society and you'll be inspired by their work. 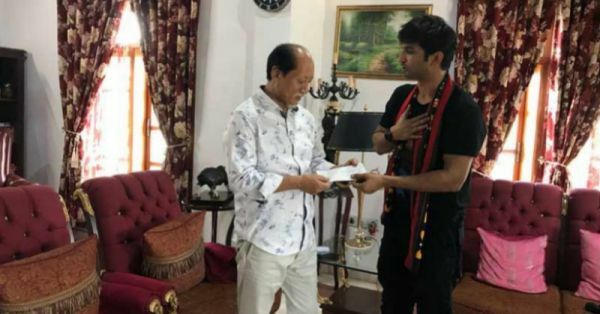 Sushant recently visited the flood-ravaged state of Nagaland and met with the CM, Neiphiu Rio. The actor pledged his support in providing aid to the region and has reportedly donated Rs. 1.25 crore to help the relief efforts. He had earlier donated Rs. 1 crore in a fan's name to help in the restoration of Kerala after the floods had submerged almost the entire state. Talking about the Kerala floods, Randeep Hooda's contribution to the relief efforts cannot be overlooked. He went to the state with the Khalsa Aid and helped in providing shelter and food to the victims and became an instant hero in our eyes. When we look at Aamir Khan we ask ourselves "Can one person change a nation's thinking?" And the answer is- yes, he can. His talk show Satyameva Jayte spoke in-depth about social issues that still prevail in our country and it's deeply saddening. He's been the Goodwill Ambassador for UNICEF and has used his platform to start conversations which were much needed in the country. He and his wife, Kiran Rao have also started the Paani Foundation, a not-for-profit helping with water harvesting to create a drought-free Maharashtra. The king of Bollywood is also one of the most benevolent people in India. He started off with charging money per interview and donating all the proceeds to various charities. He is also on the board of Directors of the 'Make A Wish' foundation that works to fulfil the wishes of critically ill children. He was also the first Indian to be recognised by UNESCO for his charity work. PeeCee has always used her name and platform to spread a positive message to everyone. She is extremely passionate about helping children with education and health. She was UNICEF's National Ambassador in 2010 and has been working with 'Save The Girl' project for a long time now. The veteran actor has not only wowed us with his unconventional film choices but also with his intensive charity work for public welfare. He was among the first Bollywood stars to become Oxfam Global Ambassador in 2007. He helped in the rehabilitation of those living in poor environmental conditions in Andaman and Nicobar. He is at the forefront of ‘World without Discrimination’ and we can't stop lauding. Another actor whom we respect not only for her versatility on the big screen but also her vast amount of philanthropic work. She has raised funds and awareness for Shraddha, a school for autistic adults, Green commandos, a citizens' green initiative, Shop For Change Fair Trade, which promotes fair trade among cotton farmers, and even with Sulabh International to promote hygiene and sanitation. 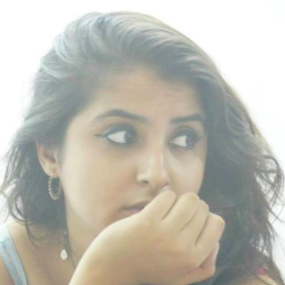 She even looks after her own family's organisation the Col Shamsher Singh Foundation, named after her grandfather. The Bollywood veteran started his own organisation called the Anupam Kher Foundation to help children from less privileged homes. It also looks into providing aid to children and adults alike who are suffering from illness that are in any way limiting. This lady is beautiful both inside and out owing to her humanitarian heart. She started the Aishwarya Rai foundation to help the needy in more than one ways. She supports animal welfare and PETA and apart from all this, she has pledged to donate her eyes to the Eye Bank Association of India. We'd like to thank all these celebrities for using their voice to spread positivity and goodness in the world.